For us here at SDE Weddings®, Toronto’s premier wedding videography, cinematography and photo-booth group, it’s always about the little things that makes our work all the more worthwhile. Between the preparation sessions, the beautiful memories shared, and the ultimate moment that a bride and groom become husband and wife, the sum of it all makes every moment captured by our videographers and cinematographers truly priceless. Witnessing the culmination of a relationship blossoming into a new stage of life is something incredibly touching and moving, and to be able to share it with family, friends, and future generations makes our work incredibly important; and from the quality of our work, it certainly shows. So for our videographers and cinematographers, the story of Illona & Roman was a truly wonderful one. The lovely young couple held their wedding day just last year on August 12th, 2017 on a splendid summer day, with their ceremony, reception and celebration held at Toronto’s luxurious McLean House on The Estates of Sunnybrook, among the classiest wedding destinations for our videographers and cinematographers. With a wondrous wedding day reception and celebration, our cameras were busy all day capturing the many truly heartwarming scenes from Illona & Roman’s life-changing wedding day, alongside a special feature of our photo-booth services on site for the couple’s guests. 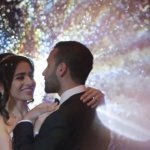 So join us as we recall Illona & Roman’s magical day, and take a trip alongside our videographers and cinematographers as we pleasantly relive among our most lively and uplifting wedding memories to date.